Are you job hunting? The Cañada College Career Center is offering a series of workshops this fall to prepare you to land the job of your dreams. These workshops will help you develop resumes, cover letters, and hone your interview skills. 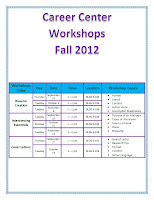 The Career Center's Resume Creation Workshop will teach you how to format your resume, lay it out, and develop strong content including action verbs and accomplish statements. Of course, creating your resume is just the first step in your job hunt. Eventually you'll be called for an interview. Attending the Career Center's Interview Essentials Workshop will have you ready. Learn the purpose a job interview, different types of interviews, how to prepare and dress, and interviewing etiquette. 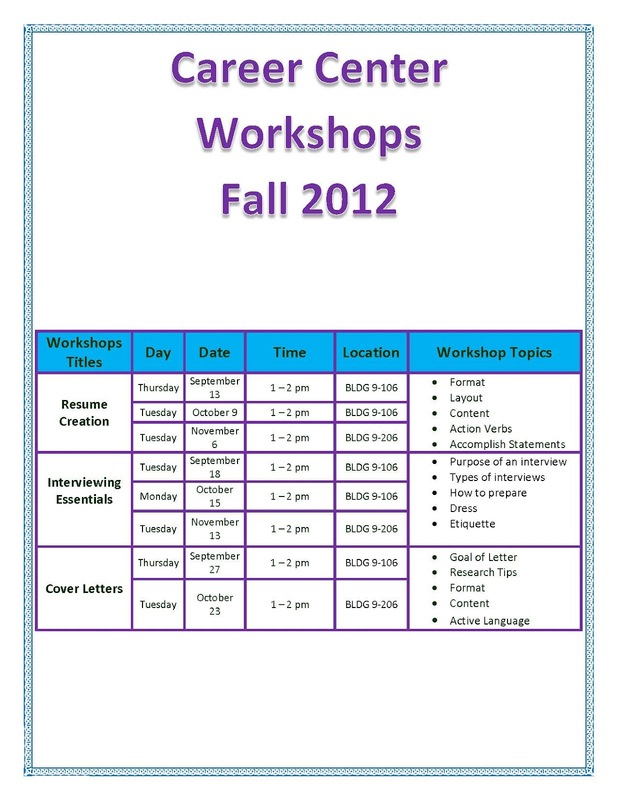 Finally, you can learn how to prepare a strong cover letter in the Career Center's Cover Letters Workshop. Learn the goal of a cover letter, research tips, how to format a cover letter, and how to develop strong content including action language. The Cañada College Career Center is located in the Grove. At the Career Center, you'll find many job postings and internship announcements as well as computers to search some of the best job hunting websites around. Be sure to stop by frequently, as new features and services will be added throughout the fall.